"Sometimes, in the Roman Catholic community, art is somewhat needed to express their deep devotion." The city of Naga in the province of Camarines Sur in the Philippines is a thriving and bustling city of commerce, trade and industries in Bicol region. Aside from this economic status of Naga, it is also the religious center in the Southern Luzon dating back the Spanish colonial era. Juan de Salcedo, a conquistador, initiated the founding of a Spanish city they called La Ciudad de Caceres. And of course, if we talk about the Spanish colonization, it means Roman Catholicism. The penetration of Roman Catholicism was so deep that the bishops of the old Ciudad de Caceres were given a unique power in the Philippine Catholic hierarchy during most of the Spanish era. That unique capability is to resolve ecclesiastical cases in Naga alone, which in the standard, should be elevated in Rome, the world center for Roman Catholicism. 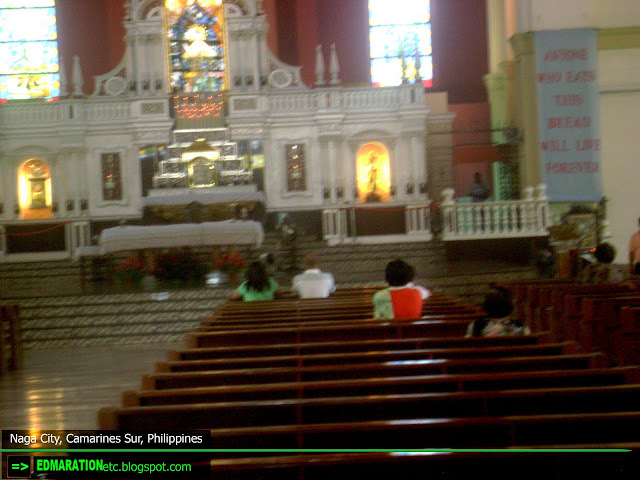 Based on the brief trackback, that shows how Naga has turned to be the religious center of Southern Luzon. With this, the people are of course deep devotees as well with their faith as an effect of the massive Christianization of the people of Naga by the Spaniards. 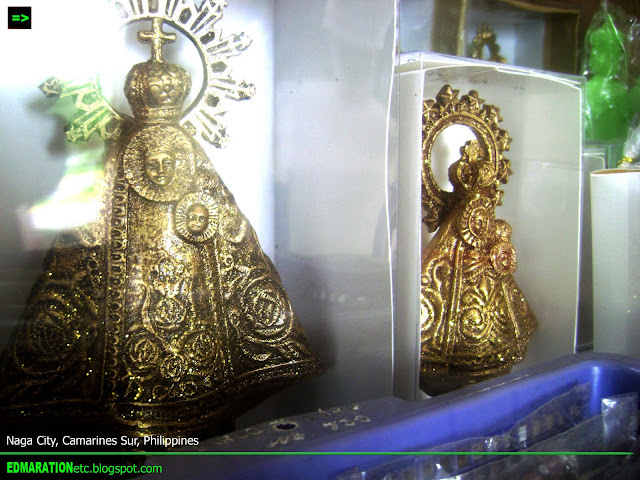 If you will try to visit the Basilica Peñafrancia, a plenty of religious artifacts are sold within the basilica premises. There are a lot of artistically made religious materials to choose from, from wooden to ceramics and from plastic to metal-made. 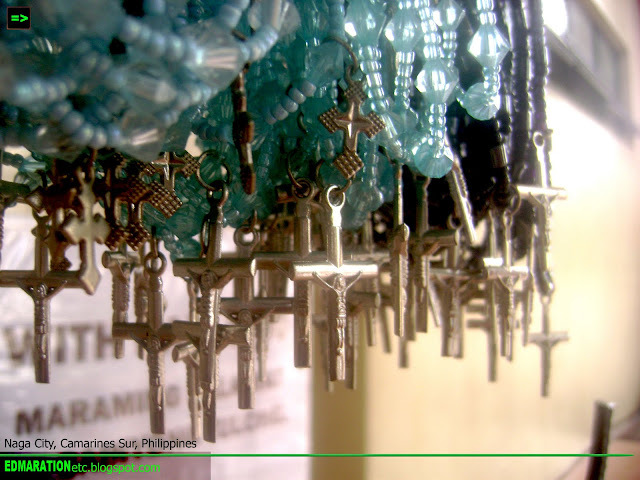 In this part of the city of Naga, one's devotion to their faith can also be expressed through arts. It is noteworthy that these items were crafted by the creative hands of man. 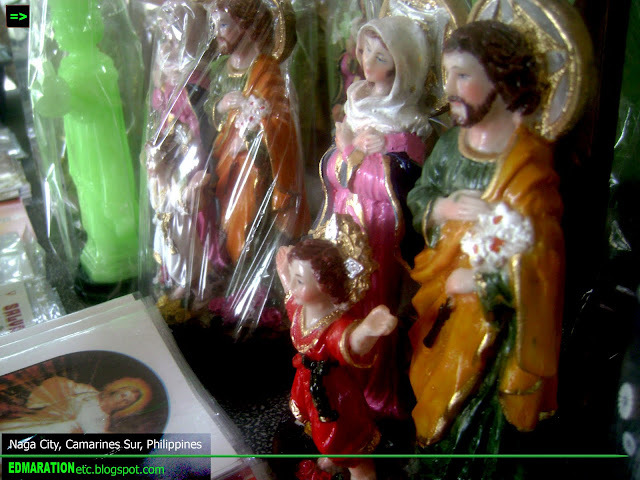 Aside from these religious materials, the making of these is also a flourishing industry. Plenty of products like these are being sold inside the church vicinity. It can be considered as an industry with a chain since it starts with the manufacturer/maker then sold to merchants and goes to the stores. It is bought by devotees then this piece of art becomes a part of their devotion. 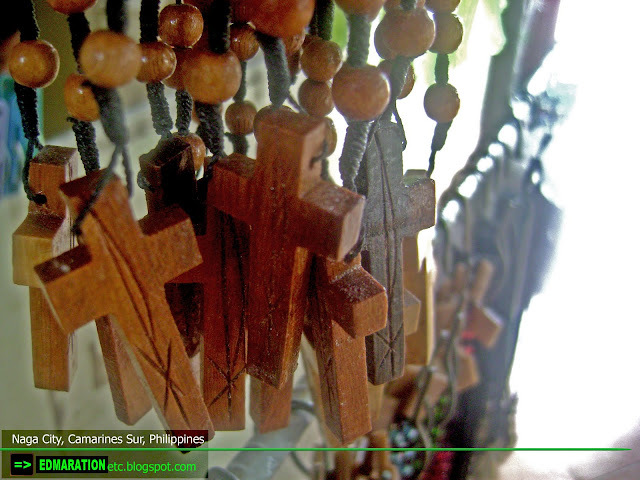 An ample number of the rosary can be found within the church premises and displayed in different styles, colors and design to fit to the preference of the devotee. 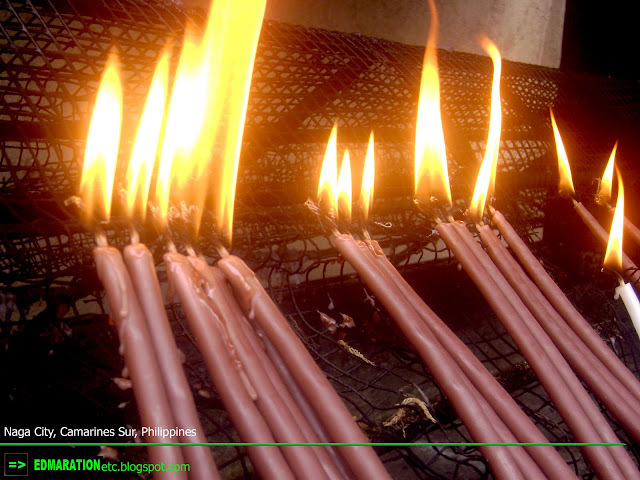 Entering the right wing of the church are constantly flaming candles as the church constantly contains devotees.